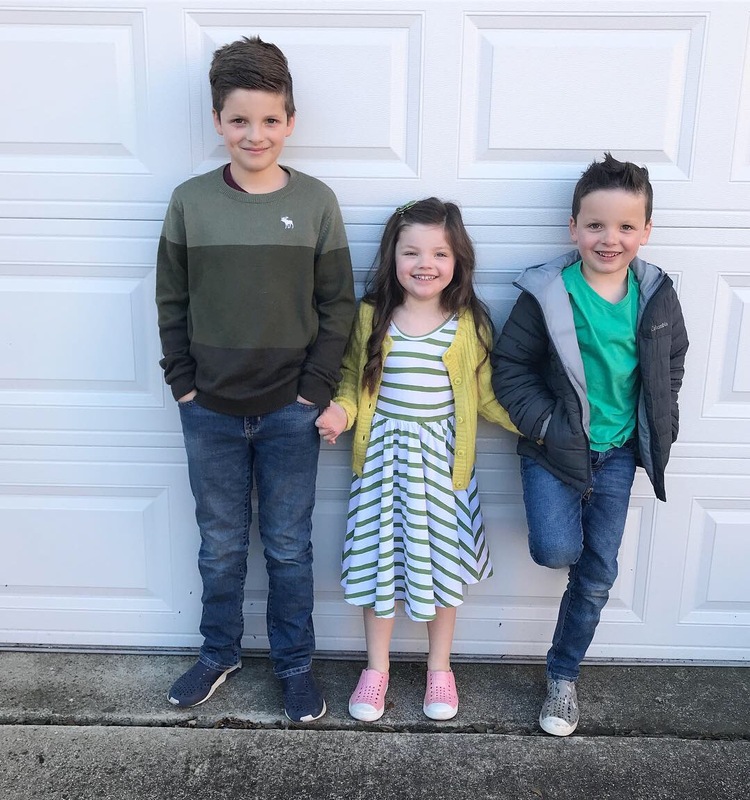 Erika, Narci and I are all sharing our FAVORITES from the week and we'd love it if you'd join us! Just link back to one (or all!) of us, grab our graphic and link up at the bottom of the post. My Auntie Judy (my dad's sister), my cousin Stacie and her daughter Maddie (I'm still confused on what relationship this makes her and I - hahaha - 1st cousins once removed????) came to visit from Canada and it was officially way too short of a visit and way too long since I've seen them. 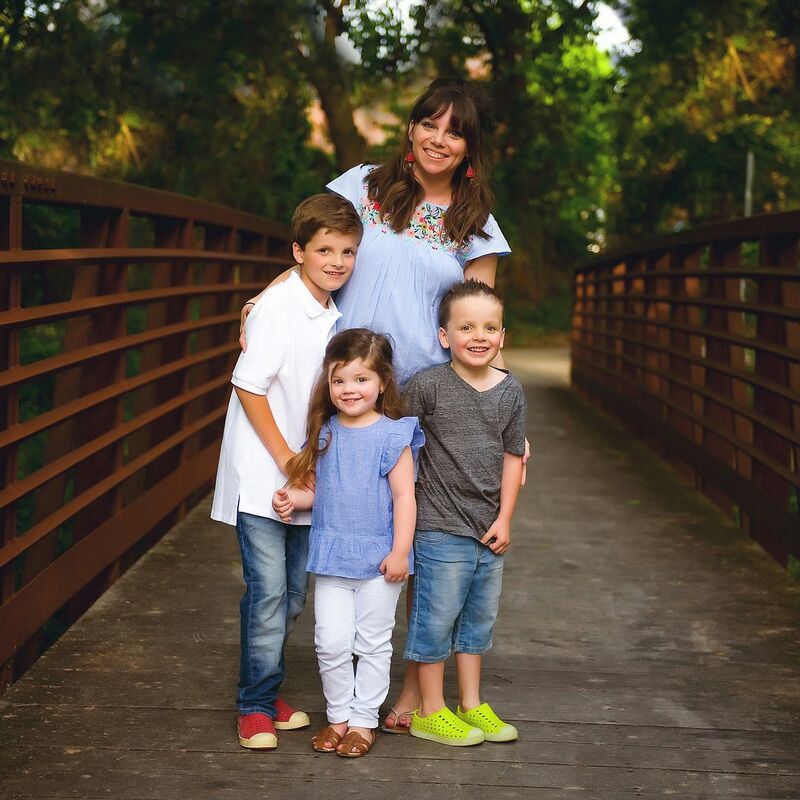 They're big fans of Fixer Upper and so, of course, Waco was on their list of places to see and so we headed down there on Wednesday for a girl's day. I've done the Waco thing before but knew I wanted it to be a bit "more" than just shopping at the Silos and eating cupcakes :) so I booked us spots on a "Classic Waco Tour" and it was fun from the minute we got on. Ice cream at Heritage Creamery was SO SO SO GOOD!!! It's all made on-site and either a scoop of ice cream or drink from Common Grounds next door was included in the tour. All of the flavors looked delicious and I opted to try the Staff Fave - duck fat caramel and it was out of this world good. I was hesitant because DUCK FAT but that's just what they use instead of butter and it was absolutely amazing. All along the tour the guides take group photos for you and then text them to you when the tour is over! It was awesome because we weren't doing the whole "phone shuffle" thing that happens when you're asking people to take photos for you. This was the stop that I think blew me away the most - WHO KNEW that this was in Waco?!?! We went all over Waco and the guides told stories, gave us TONS of information and historical anecdotes about the town and kept us laughing (and even dancing) the entire time. We drove through the Baylor Campus, saw East Waco and even got to see a bamboo forest (for real!). And (of course!) there was a LOT of fun Chip and Joanna talk and sites (like the tire shop where they met, their first store on Bosce, etc.) and we went by lots of the renovated homes. - I had spent a pretty significant amount of time researching what to see in Waco and would never have known about some of the cool information and sites that they took us to. - The owners of the company are people who have had their homes renovated on Fixer Upper and they recognized that thousands of people were coming to Waco and nobody was there to really show them the hidden gems and Waco Tours was born! One of the owners tracked me down while we were at The Silos and he was SO NICE (even if he asked me to talk on camera about our tour - GAH!) and I'm excited to take Dave and the kids back to go on The River Cruise tour. ... I took pretty much no pictures inside because #shopping but I did seriously consider this terra cotta pot... isn't it awesome?!?!?! ... and some cupcakes for the road (OH MY WORD they are even better than the hype makes them out to be!). And then we headed over to Spice Village. Spice Village is this HUGE shop where over 90 vendors have booths set up with the cutest variety of gift items and clothes. 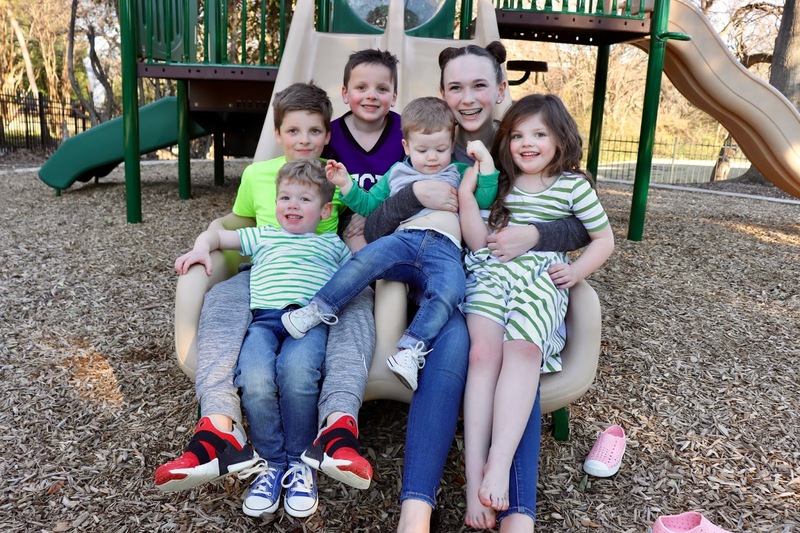 And lots of cute cousins are my FAVORITE! 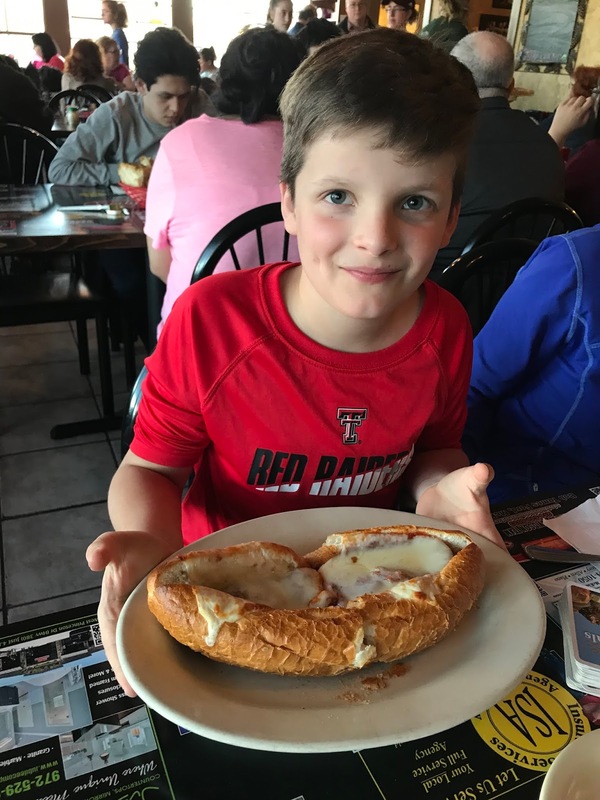 Luke's favorite part of the week was this giant meatball sub at Sicily's (if you're in or around McKinney Sicily's is SO WORTH the stop! It's been around FOREVER and is kind of a hole-in-the-wall type of place but they have some of our very favorite food. Obviously the meatball sub is delicious but my favorite is the tortellini siciliano (without the olives) and the pizza is fantastic too. 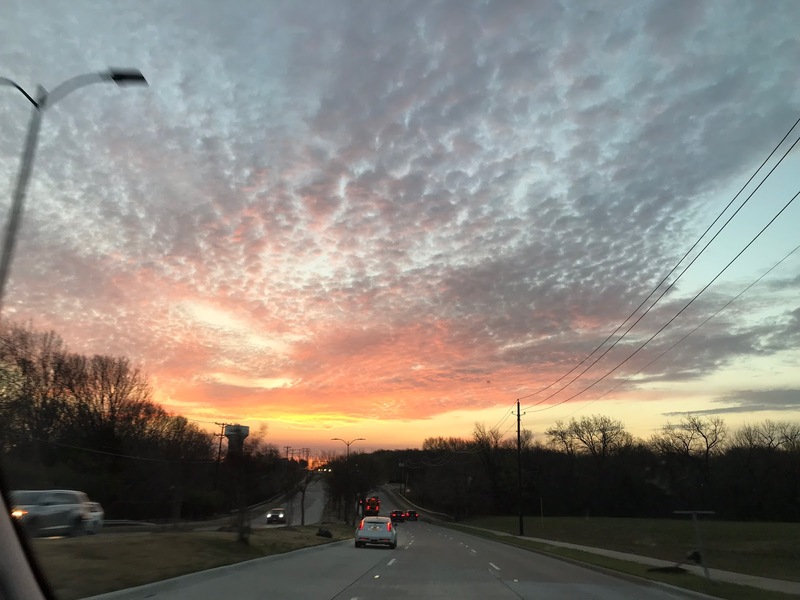 ... and this sky that Luke snapped a picture of on our way to school this week was a FAVORITE too. 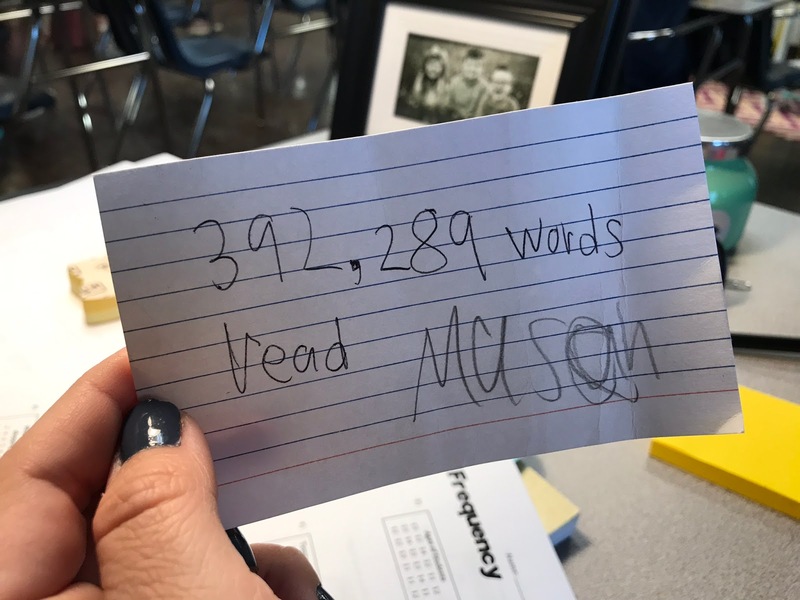 Mason got an AR (accelerated reader) report this week that told him how many words he read last quarter and he was SO EXCITED about it he had to write it down on a notecard and bring it up to me in my classroom on his way to recess :) FAVORITE! We're getting back in the swing of things over here and have soccer, football, outdoor chores and STOMP! on the agenda for the weekend. PS - this post contained affiliate links... thank you so much for reading and supporting my blog! Andrea! The most PERFECT day in Waco!! I would love to go to Waco someday. Looks like y'all had a blast. 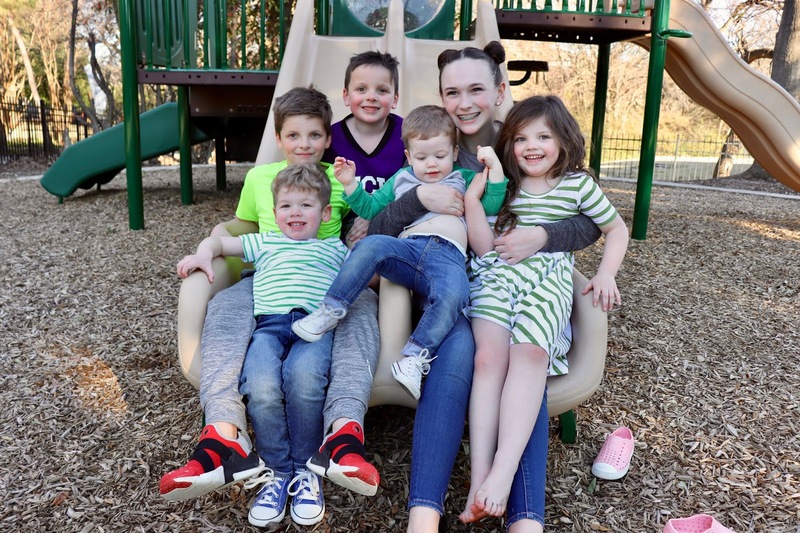 What fabulous memories made...from waco, to those adorable cuties...and the pic snapped of the sky - I don't want to lose my wonder!! Thank you for hosting this link up. It's so fun! There is a stall in Spice that literally brings me to tears of laughter. I wish I could remember the name, but it is such a fave for me. We are definitely going to have to find Sicily’s- my Luke loves a meatball sub! 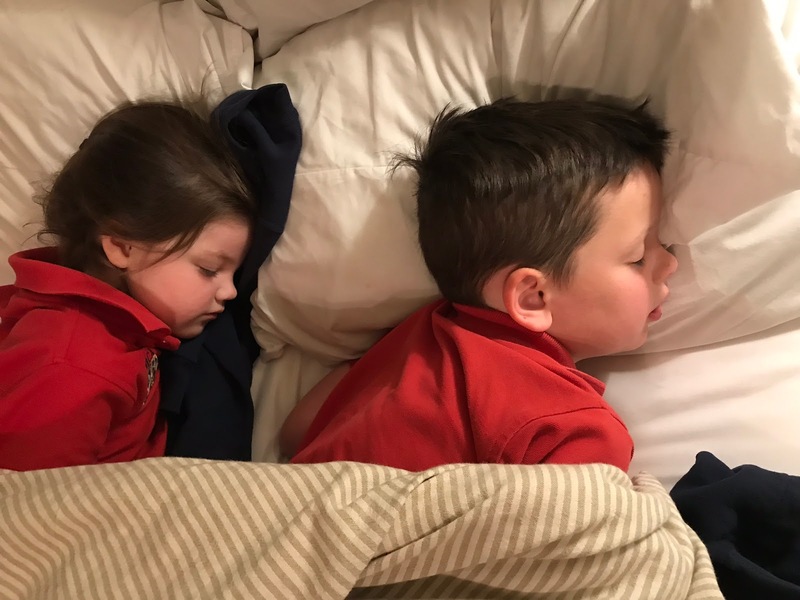 Love that pic of Gigi & Mason sleeping... Melted my heart, those sweet babies! I think I recommended Tenzi on your game post and it is one of our favorite games. So good for all ages! All of this sounded amazing, especially those cupcakes.. but the BEST THING is that the tour guides take photos for you. Like WHY IS EVERYONE NOT DOING THIS!? Obsessed. Waco is such a cute place. I went to the Silos a couple of times last year. Great post! The tour looks like a ton of fun!!! And I totally recognize that guy from Fixer Upper! You are going to love Tenzi. It is fast-paced and all your kids will really enjoy it! I often have tenzi tournaments as rewards in my 5th grade classroom. So fun to have 25 kids competing! I'm ordering that little lamb planter for my mom as a gift. What did you look for when picking succulents to fill it with? Sizes? Where did you end up getting yours? That Waco tour sounds fantastic!